The Curse mark arc of Boruto is ongoing and it's all episode give you thriller and twist. 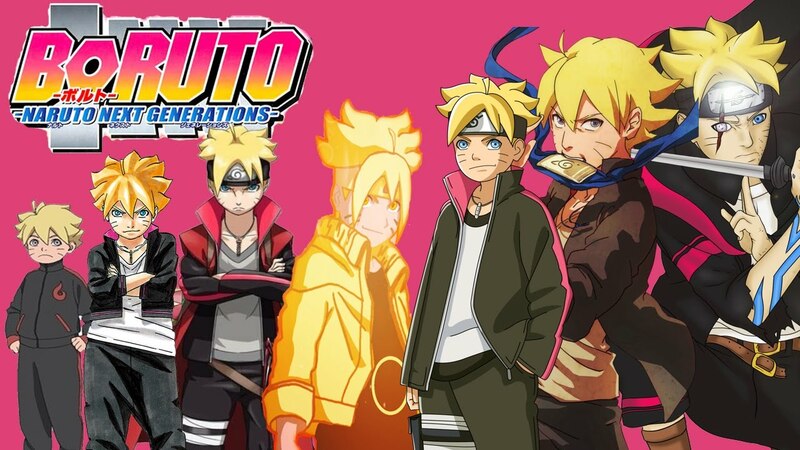 Boruto: Naruto next generation episode 100 "The Predestination path" shows us that Boruto's team are helping Jugo to cure the curse moose and they also help Jugo to control his cursed mark transformation. In this episode, it seems that chief of the village plotting something strange for Boruto's teammates and for Jugo. He invites researcher from the land of rivers to research on Jugo's curse mark and told Boruto's team to leave the village as they don't tell them the truth about Jugo's curse mark transformation. In the meantime when Wasabi, Namida, and sumidu are going to bring reinforcement from the hidden leaf village but they are attacked by the unknown shinobi who have cursed mark transformation and they defeat Wasabi and Namida and also give them curse mark. From their talk, its look like they were sent by the chief of the village to stop wasabi's team for bringing reinforcement from the hidden leaf village. One piece " The Fifth Emperor Of The Sea Emerges "
Luffy escapes from Big Mom's territory and they sail toward the Wano land. 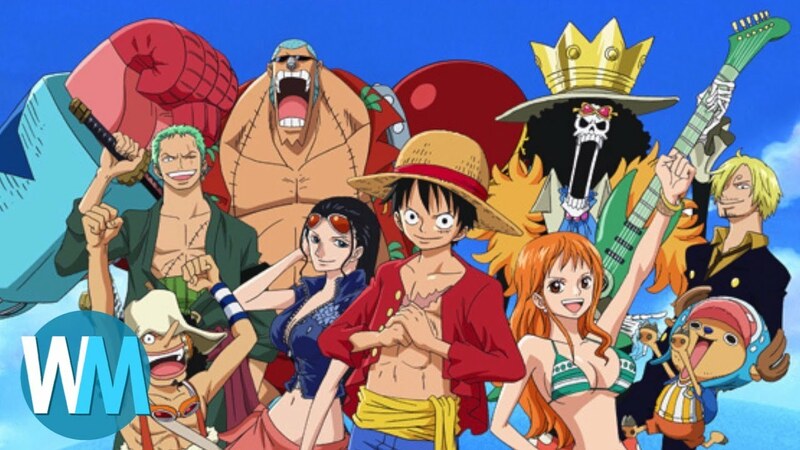 The news about Luffy, Jimbei, and Beige attempted to assassinate Big Mom spread all over the world and also the news of the emergence of Fifth Emperor Of The Sea spread all over the sea. One piece " Episode 878, The world is stunned! The fifth emperor of the sea emerges! " start with the back story of Shanks and Luffy, where they met and Luffy wanted to join Shanks pirates group which refresh the memory of Shanks as he read the news of Luffy in the newspaper which reminds him about the goal of Luffy to become the king of pirates. In this episode, we see that Luffy find Grema 66 equipment in this pocket which is for Sanji but he doesn't want to take it. After that, they get the newspaper in which they read the news about themselves and there is a wanted poster of Sanji in which his bounty is increased to 320 million berries which are higher than Zoro which make him proud that he bit Zoro in the bounty. All the pirate's group and world government get shocked after knowing about Luffy attempt to assassinate Big Mom. There is no information about the new bounty of Luffy and Jimbei in this episode but I hope we get this information in the next episode. In the previous episode, we saw the clash between Bohman and Soulburner and it continues in this episode. Yu-gi-oh vrains episode 95 shows us a massive battle between Bohman and Soulburner. After the Playmaker gets faint, Soulburner became angry and he challenges Bohman, and they dual in the sea because Bohman has water attribute. Bohman summoned link 3 paradox hydradrive atlas who destroyed the cyberse world, which was the homeland of Flames. In the next turn, Bohman uses judgement dice which allow him to summon a special hydradrive link monster Monarch whose attack point is 3000. Due to atlas effect Monarch attribute become water attribute. Bohman removes one hydradrive counter to roll a die and he uses judgement dice against and sends Heatleo to the graveyard and Soulburner get 500 life point damage. After that Bohman direct attack to the Soulburner and decrease his life point to 500. By showing Bohman the salamangreat sanctuary in Soulburner's hand, he active shrine's effect which allow him to revive Heatleo back and after that he active reincarnation link summoned Heatleo's effect by which Heatleo attack point become the same as Mole in the graveyard which is 3000. Heatleo attacks Rousing hydradrive Monarch but Bohman activates his trap card which decreases Heatleo attack point to 0. During the duel, Windy come out from the body of Flames and try to kill both Soulburner and flame but flame manages to take care of Windy and save Soulburner but he dies. Soulburner continues his duel with new power and he summoned link 4 monster Salamangreat Pyro Phoenix and he destroys all card on Bohman field but he can't destroy atlas's effect. After that Bohman use his judgement rolls effect and decrease the Pyro Phoenix attack point to 0 and he directly attacks Soulburner and he defeats him. This is the end of Soulburner. 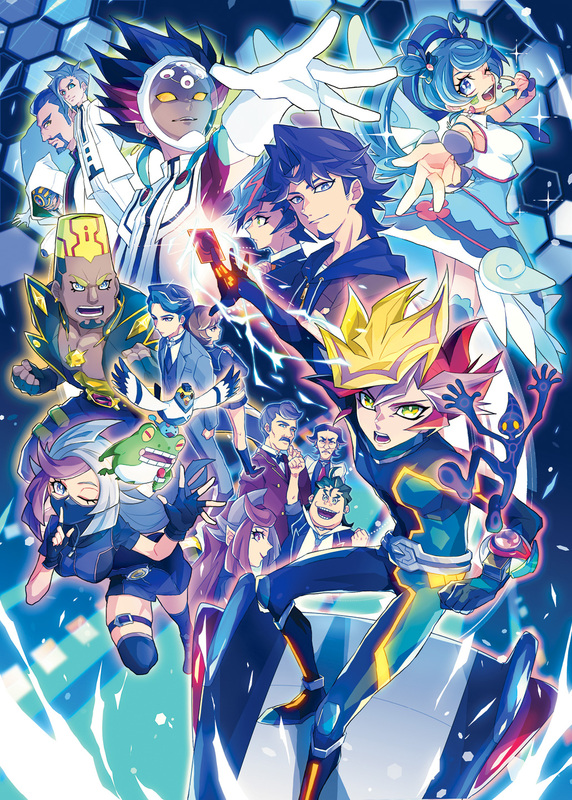 Labels: Yu-gi-oh Vrains " Bohman vs soulburner "
In the previous episode, we saw that four round of Royal Magic Knight was ended and the strongest team won their round respectively. In this episode, we see the past story of Rill Boismorlier who is the captain of the Aqua Deer Magic Knight and this episode explains why was he joined Magic Knights. As we know that the next battle between Team I and Team J . Team I has Rill, Nils, and Ruben, and Team J has Wainsly, Roland and Nix. Team J hesitated to battle with a captain of Magic Knight but Wizard King says, if they defeat captain Rill then they make names for themselves. Now, there is a past story of Captain Rill as after getting his Grimoire, Captain Rill locked himself in his room and wanted to draw an unlimited picture but he can't, then his butler told him that he can make his ultimate picture in an ultimate canvas which will be found in the magic knights. The battle of the next round is started, Team J think they easily capture Captain Rill and they attack him but Captian Rill defeat two of them easily with his incredible magic and his teammates break the crystal of their opponent. This episode brings a surprise element and told us a few things about Captian Rill who always behave weirdly. Labels: Black Clover "Mage X "
After the battle between team A and team B, Mimosa's older brother Kirch appear who is some kind of weirdo.he always talk about his beauty and nothing .He is participate in next battle . next battle is between Team C and Team D.
Magna used his flame creation magic while Sol used her earth creation magic to defeat Team D but they don't lose that easily . Kirch who is the vice captain of the Coral Peacock covered the battlefield with a storm of magic petals and make route for his teammates to attack on the crystal of the Team D and they destroy Team D crystal. Next battle is between Team E and Team F.
In this battle Finral of Black Bulls used his spatial magic which gives incredible mobility and they easily win the battle in few minutes. Other magic knight get empress with Black Bulls Kinghts and their power . Finral's younger brother Langris and Sekke are charging straight to Team H and Langris used his incredible spatial magic and cut the crystal along with space and they win easily. There is a bickering between both brothers Finral and Langris as they will facing each other in their next battle. Labels: Black Clover" Fierce Battle "
In previous episode of One Piece ,we saw that Big Moms Pirates attack on Straw Hats and they thought that they sunk their ship "Sunny " into the sea. But Wadatsumi save Straw hats ship and change it with Sun pirates ship. Episode 876 shows the humanity and justice of Jimbei. The sun pirates started fight to Big Mons pirates to clear the passage for Straw Hats pirates . Wadatsumi puts Straw Hats ship in his mouth and start swimming out from the battlefield but Oven attack on Wadatsumi and make him to take out Straw Hats ship from his mouth .The Sun Pirates make sure that Straw Hats ship get out from this situation by attacking big Moms Pirates but they have no match with them . there is a clash between Oven and Aladdin . Aladdin try to stop Oven to attack other Sun pirates and a showdown between them start. Jimbei see that situation and want to stay with Sun Pirates and make sure that Straw Hates get out from there . Luffy agree with Jimbei and told him that he is his captain and he want to see him in Land Of Wano and also told him don't die here . At the end all Fishermen generate a massive ocean current which help Straw Hats to escape from here . After a massive hit, "Attack on Titan Season 3" was end with episode 12 and its New Season will air on 29 April 2019 which continue its massive action . Last episode of the Attack on Titan shows that Hange analyse the titan serum's formula because of it volatile nature so Erwin gave the serum to Levi ,if the situation are out of control during war then He must be used to turn someone into Titan .Levi made a secret plan to use the scouts to search the Yaeger family's basement and Erwin confirms The arrangement are in place to retake The Wall Maria . On the night before their mission , The Scouts treated themselves meet for dinner To light the atmosphere before the mission . At the end scouts ride out for The wall Maria and Bertholt and Reiner stand guard on wall Maria. Dragon Ball Hero episode 9 continues the "Universal Conflict: Dawn of War" arc by taking the battle to Universe 11, where Vegeta and Future Trunks throw down with the evil tin androids of the Core Area Warriors, Oren and Kamin!
' Grand Priest Goku' that we never ever seen before. 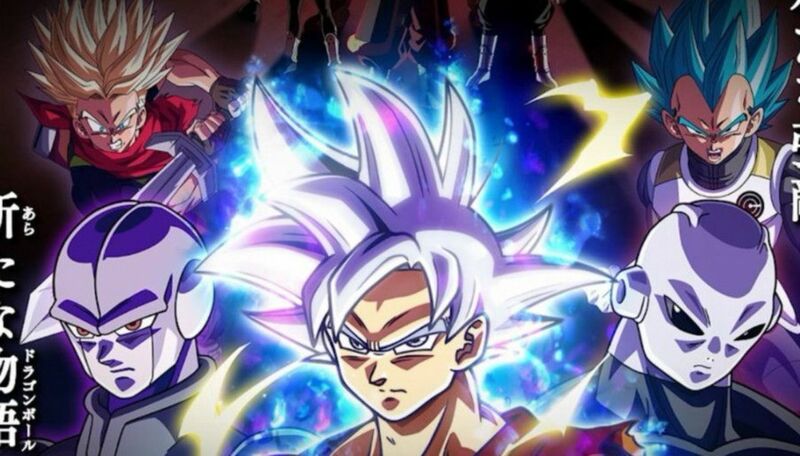 Grand Priest Goku is transported by Grand Priest of Angles who leave goku to settle the thread which is in the form of Cumber , Kamin,Oren and zamasu . Goku show them what he train with Grand Priest of angles, his one punch kick out Oren form Vegeta 's body .Now the the battle on and that is the end of the episode. Attack on Titan is a best anime of the world for new generation . In this anime story and graphic is brilliant and it is one of the most view Japanese anime in the world . The story of anime revolves around the Eren Jaeger .The manga series of Attack on Titan is written by Hajime Isayama . It is set in a world where humanity lives in cities surrounded by enormous walls protecting the humans from gigantic man-eating humanoids referred to as titans. Attack on Titan has become a critical and commercial success. As of December 2018, the manga has 88 million copies in print worldwide (78 million in Japan and 10 million outside of Japan), making it one of the best selling manga series . 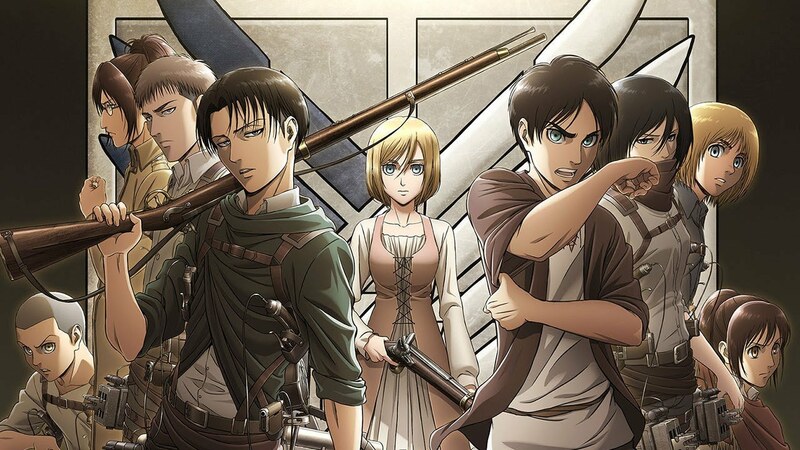 The anime series of attack on titan was aired between 7 April 2013 to 27 September 2013 directed by Tetsuro Araki . The story of anime based on a alternative world where giant humanoid creature called Titan suddenly appears and wipe out half of humanity . For protecting themselves human made huge wall and they live besides the wall. the story get it's turn when a titan who is larger than the wall attack on them. in this incident Eren lose his mother and he decided to join scout to revenge his mother death. Story of this anime took its another twist ,when the titan again attack on the wall where Eren realize that he can transform into a titan. Attack on titan series 3 part 2 gonna aired in April 2019.